Eight years ago, my four year old wanted to put Nerds in water. 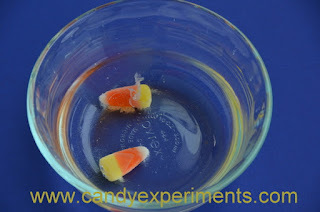 We put them in water, they dissolved, the water turned purple, we threw it out, and Candy Experiments were born. But we didn't know that there was more to learn! 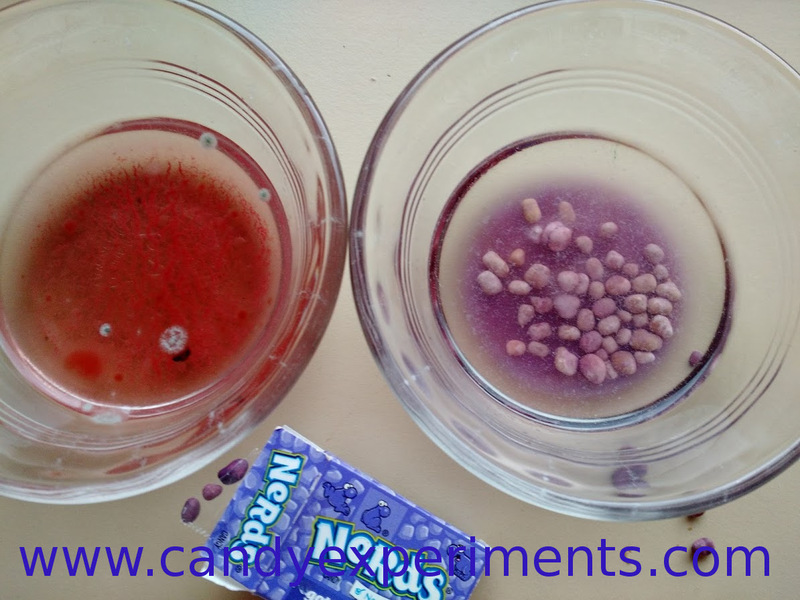 This Halloween we put purple Nerds in water, and left it a few days. As the dye decomposed, the water turned red!